If you are a resident of any city like Chandigarh and are facing many civic problems, you are not alone. You have even approached the concerned authorities many times but to no avail. For example, if you are facing a constant disruption of your monthly pension, you may lodge complaints with the officials in the pension department. Another instance is if there is continuous denial of water supply in your home, the consumers can submit a complaint against the concerned officials of the water department. But many find that there is no response from the officials. So they are caught in a stalemate. The Indian constitution provides a solution in the form of writs. Writs are enforced by the high courts. Particularly, the writ of Mandamus can be used to book errant officials of government departments, which do not respond to repeated pleas of safeguarding the fundamental rights of citizens. Mandamus is an order or command directed to an inferior court, board, tribunal, corporation, or a person, which has not performed its statutory duties. Mandamus is a judicial remedy in the guise of an order from a superior court to any subordinate. 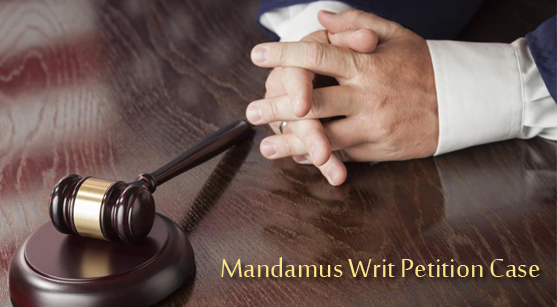 Mandamus is an order to complete any administrative deed or not to indulge in a specific deed and is supported through legal rights. Any person can complain that some agency is not doing its duty. The duty which is meant to be enforced should have two properties: 1) it needs to be a public duty that is urgent and not discretionary. 2) There must equally co-exist a corresponding right in the petitioner giving him claim for enforcing such a duty. One can hire the service of an advocate to lodge a complaint. The high court (court at state level) has original jurisdiction over some important writs. For those, who find the concept and procedure of writs complicated, they can hire the service of an advocate practicing in the High court or Supreme Court. The highest court of India, the Supreme Court may issue writs as per Article 32 of the constitution for enforcement of Fundamental Rights (FR) and under article 139 for enforcing rights other than FR. The concept of writs has been developed by the authors of the Indian constitution. It has been widely developed and interpreted by Indian courts. Any person can approach High Court or Supreme Court to issue any of the writs as per circumstances and facts. Writ of Prohibition: It is a writ issued by a higher court to a subordinate court preventing it from taking a case as it falls outside the jurisdiction of the lower court. Writ of Habeas Corpus: If you have been arrested or detained, orders are issued by the writ to the police asking them to produce you before the issuing court, which will decide whether to detain you or to set you free. Writ of Certiorari: It is issued by a higher court to a lower court to resubmit all details of the case to re-decide the judgment of the lower court. Writ of Quo Warranto: Issued against a person, who usurps or claims a public office. If a person is a victim of any injustice, he needs not fear. With these arrows provided by our constitution, he should stand up against it and fight without any fear.